If you are looking for illimitable views of the sea, sparkling-white sandy shores and a high dosage of the sunny tropics, then Villa Tievoli is just right for you. This expansive, contemporary property is home to 6 bedrooms and a kids’ room with unobstructed views of the sea from every direction. With 200-m of beach right in front of the villa, you don’t have to traverse far to enjoy your exotic location with the infinity-edge pool extending right to the beach. The villa boasts of a luxurious and unforgettable in pristine Phuket, with an experience like no other. The two master bedrooms are located on the upper-floor and the main floor of the villa furnished with a king-sized bed and an unparalleled view of the sea from its private balcony for the room upstairs. The clean-cut and minimalistic décor enhances the beauty of the natural elements outside the rooms. The room on the main floor has a private terrace and sitting area, where you can enjoy your morning and evening tea while you take in the panoramic views. The rooms have en-suite bathrooms are equally spacious with large showering areas and beautiful views of the outdoors. The four spacious bedrooms at the villa are furnished singles or queen-sized beds and all of them offer remarkable views of the sea with direct access to the outdoors. All the bedrooms have en-suite bathrooms, fully-furnished with great amenities for your comforts. There is a separate kids’ room with two bunk beds and numerous toys and games perfect for children. Villa Tievoli is marked by the beach which resides in the front-yard of the villa. With the beachside infinity-edge pool, which extends up to the beach and its sandy shores, guests can enjoy the sea-view as much as they wish right from the comforts of the villa. Head down to the beach to have some fun playing around in the sand and water. Under clear-blue skies, guests can lounge on one of the several swanky deck chairs or daybeds placed on the pool deck, and relish the blissful calm and tranquillity of the villa’s location. The living room boasts retractable walls for an enhanced experience, wherein you have the chance to observe the scenic beauty of Phuket while you rest in the comfortable sitting area. With breathtaking views of the ocean, the living area offers a view of the pond on the other side of it. The expansive space is well-furnished and resonates with the contemporary and state-of-the-art décor of the villa. The main living pavilion connects to the swimming pool and pool deck, for unhindered access. Another room is designed to be the private media room and cosy lounge space with extra comfy couches and stools for sitting and a vast collection of movies for the entertainment of the guests at Villa Tievoli. A flat-screen TV and surround sound system enhance the movie-viewing experience. Right beside the main living area is the kitchen and dining area with a large wooden dining table in the middle of the room that can easily accommodate all the guests. A newly-furbished modern kitchen is also provided with quality amenities and is fully-equipped with the best appliances. With a plethora of activities to do around the villa and the beach, you won’t feel the need to travel out! There are two spa specialists in-house, so you can enjoy private massages and spa treatments. The house-chefs will delight you with delectable meals, where you will get to taste the best of Thai and international cuisines. Guests can walk down to the beach for some fun-filled water sports! Other services including a beauty salon, BBQ and an American-style bar! The villa is located close to the popular Natai beach, which offers the guests the chance to explore the island in all its glory, discovering new, unexplored places. Guests can indulge in watersports like kayaking etc. as they head on down to the beach! Had a wedding here, venue, staff, food , everything was absolutely amazing. Pool and beach views were great, rooms were comfortable and clean, food cooked by staff was great. Staff had great communication and great service, arranging meals and service for us. All in all, this was the best holiday I've ever had. We had an amazing holiday at Villa Tievoli. The villa is kept impeccable at a very picturesque setting. Not to forget the chef, who is very talented and accommodating. 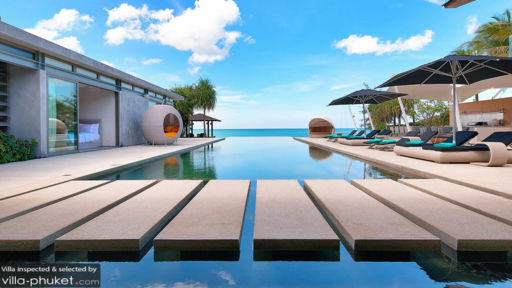 Our families have stayed at many villa & resort hotels in both Phuket and Koh Samui in the last 10 years and Villa Tievoli is for sure one of our favourite! Great place for a group vacation. 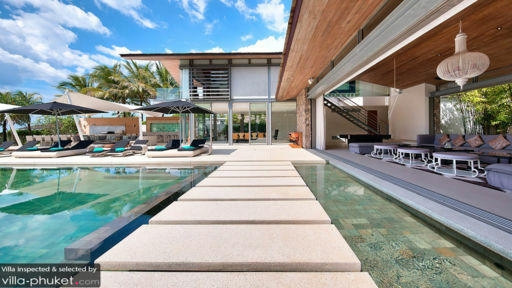 A beautiful villa and pool, the outdoor area is truly spectacular. The beach is also lovely. The staff were friendly. The Chef was great, and the food delicious. All in all a fantastic vacation spot.